Two special guests made a visit to Kinder Ranch Elementary school on January 15, sharing their new children’s book All Around Us. Two special guests made a visit to Kinder Ranch Elementary school on January 15, sharing their new children’s book All Around Us. 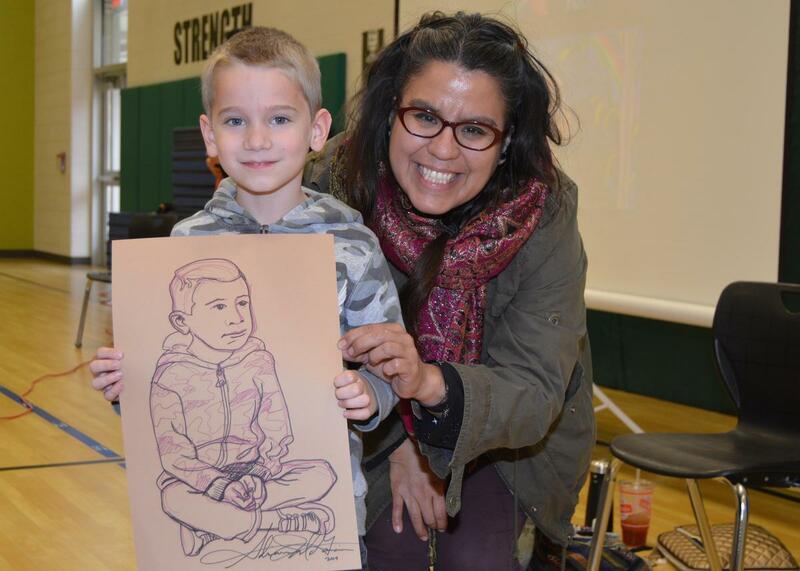 Author Xelena Gonzáles and Illustrator Adriana M. Garcia spent the day showcasing their latest work to each grade level by reading the book and doing some Tai Chi, retelling the colorful story through movement. While Gonzáles read the book, Garcia worked on a secret illustration to share with the students. 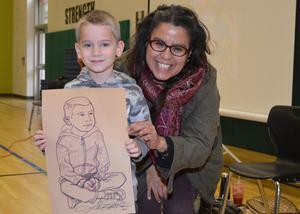 She selected one student from each group to bring to life with her signature style of drawing, which is featured in the book. After the big reveal, Garcia shared her story of becoming an illustrator and the process of creating her images in All Around Us, which uses colorful contours and vibrant colors. The artist also showed the students her first attempts illustrating the book and had them compare those to the final images that were published. She explained how the final images were nowhere near her first draft, but she trusted the process and kept trying.